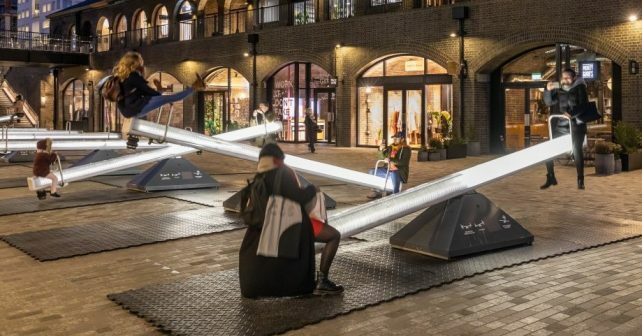 Go and bounce on illuminated musical seesaws! The news is grim so bring out your inner child these long February nights and hop onto FREE illuminated musical seesaws. The Wave-Field, Variation F in King’s Cross is back after a successful run last year. How does it all work? Just pair up with a pal, partner or stranger and bounce up and down to create patterns and harmonies using the in-built motor. It’s simple as. Play music while playing around – every (big) kid can relate to that!